Paul Y. Song, MD was most recently on the faculty at the Samuel Oschin Cancer Center at Cedars Sinai Medical Center. He is currently the Chief Medical Officer of ATGen Global and Cynvenio Biosystems. Dr. Song is also a Senior Advisor at Berg Health, where he previously was their very first Chief Medical Officer. Dr. Song served as the very first visiting fellow on healthcare policy in the California Department of Insurance for 2013 and was appointed to the California Coastal Commission by Former CA Assembly Speaker John Perez in 2014. 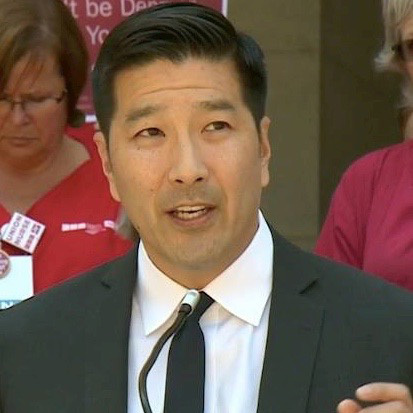 He is the Executive Chairman of the Courage Campaign, a progressive online organization of 1 million members and is the Co-Chair for a Campaign for a Healthy California. In addition, Dr. Song serves on the national board of Physicians for a National Health Program, Liberty in North Korea, People for the American Way, The Asian Pacific American Institute for Congressional Studies, and The Eisner Pediatric and Family Medical Center. Dr. Song graduated with honors from the University of Chicago and received his M.D. degree from George Washington University. He completed his residency in radiation oncology at the University of Chicago and did a brachytherapy fellowship at the Institute Gustave Roussy in Villejuif, France.